Klaus: Hello! And welcome back to our podcast. This is Klaus and Lothar, we both talking today again about a very important issue with relating to cancer. There are these words and I think the, the law is very specific.. you cannot make healing promises if you offer any kind of cancer therapy. So, Lothar, what do you think about this whole thing? Can people get cured? Can cancer be cured? What is your view? Lothar: The answer is quite easy: Yes, of course. You know, the problem here is that, the conventional people, they always talking about these five years, which means if you’re not dying within five years, then you are cured, or you are healed or you’re in a permanent remission. But, think about it: if you break your bone, are you going later to a club with other people that also broke their bones, and you discussing, “okay, I’m cure after that?” No. You, you would never do it. But, with cancer, what is the problem here? With cancer, quite often, within five years a tumor is coming back. And people face the following challenge: They think they are cured because the doctor is saying, “okay, we destroyed now the tumor, the tumor is out, or we, we destroyed it with chemotherapy and radiation, and now we can’t do anything for you. And, and now, we have to wait”. And this is what patients are believing. And this is what I don’t understand: that, if a tumor is destroyed, nothing changed with your cancer illness; it’s just the tumor is gone. This is like if you have headaches and you take morphine, okay, well, you don’t feel your headaches anymore, but the cause for your headaches is still there. And the same is with cancer. If you cut out the tumor, what did change? You have no tumor anymore, but the illness – cancer – is still there. Klaus: To clarify that point Lothar, the five year idea was this: from the moment you get diagnosed until five years later, if you get over that threshold, and you’re still alive, that would be equal to being cured, or healed, so to speak. Lothar: This is exactly what I tell the patients. Klaus: How did they come to that five year thing? Do you have any understanding of how that happened? Lothar: I have no idea. This is the truth. I, I don’t know how they came to find five years. It could be four, six years right? Lothar: I have no idea. I think just somebody said it, and then all the others, like always, all the others said it, and that’s it. Klaus: So, now, I think statistically, that’s why it is important that all the statistics that are done when it comes to cancer, they measure basically that number. So, if somebody gets diagnosed, then, five years later, they’re still alive, then they would be in the statistic, they would be handled as ‘cured’. Now, our friend Werner, when we started that whole journey, he got cancer about 35 years ago, and he was, I think, ten years, twelve years, so to speak, cured. He got the operation, he had I think chemo and I believe radiation, and, everything was fine for him. And statistically, our friend – and this is a real odd thing to look at – statistically he was cured, and five years after the five year timeline, he died. But in the statistics, he will be, a ‘cured patient’. Lothar: Yeah, that’s a strange thing within cancer anyway. I can add many more examples here. For example, leukemia. Most people with leukemia, they get a relapse. They get it after six, seven, eight, nine years. Not within three years. So these people, statistically they are all cured. So, what is this now? What do I say to patients? I say, “a ‘cure’ is not just a statistic; a cure is a feeling. You must get up in the morning, and you must know. You must know that you are cured. And how do you know it? It’s a feeling. You get up, and you know exactly.. that’s it”. And now comes a very strange thing. Sometimes, from the official side, you are not cured. I want to give you a nice example of a, of a patient from Heidelberg– I made a documentation about him. He had malignant melanoma. And he went to a doctor, it was Dr. Wöppel by the way, he is a famous doctor. And he went to him and he said to him, “he wants to have this or that kind of treatment. And, of course, normally the doctor is saying what kind of treatment you should do. But he said, “but don’t worry Dr. Wöppel. I’m already cured. I just need some more help. And Dr. Wöppel said to me at that time, he said, he thought that this patient is totally crazy. But he didn’t understand the system behind it – he said you know, this guy came to him, he said that, “don’t worry. I know I’m cured. I need some help here”. It was, some, some fever treatments. But I know already, I’m cured. This is, one side. The other side is: there are many people they – let me say – they even longer than five years, they have no tumor anymore, but, you know what they do? They go every three or six or twelve months to the doctor, and ask the doctor, “how healthy am I? Am I cured?” And so on and so on. So you know, in the end, a ‘cure’ is not on a paper. A cure is not what your doctor is saying, a cure is in the end, how you feel. Klaus: Absolutely. And, coming back to what we said, in a previous podcast, there is a difference between a symptom, getting rid of a symptom, and the illness. And I think more and more people become aware of this – for example, when it comes to headaches, to back pains, they do realize that more and more people are being treated over years and years with back pain and headaches. But it is really the symptom, suppressing the symptom. 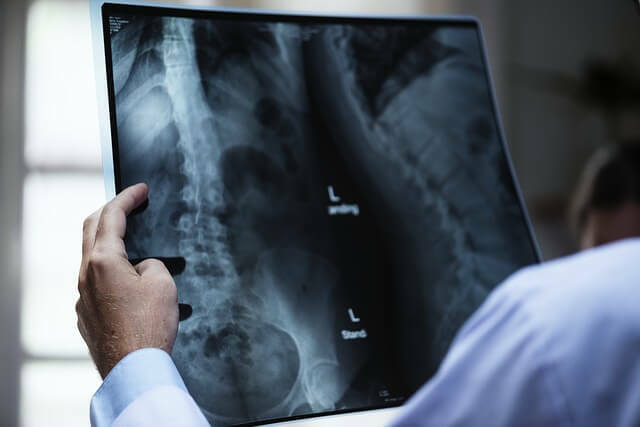 Because obviously, they are painful and I completely understand why they’re doing this, but now more and more people say, “I cannot take those painkillers for the next 20 years – I cannot just have pain in my back all day for the next 20 years, I’m still young. I have to look at the cause – and then strangely enough, a lot of them do find a huge improvement, once they look at the cause. So, I think after 20 years Lothar, there is definitely a possibility to get healed, and it definitely very much linked to looking at the illness. And then supporting and using treatment, and there could be various different kinds of treatments, for reducing symptoms – definitely if they’re too dramatic, and if they’re threatening – but other than that, to look more and more at the causes, and thereby strengthening the system And as Dr. Budwig said, it’s an energy issue, and therefore life then, becomes normal again in a sense. And then, maybe move away from this whole aspect of ‘five years’ and also moving to a quality of life model. Because, I think it’s not important what is the quantity number. Somebody could living to be 90, and for 40 years of the last 90 years, they could be miserable. Does it mean someone had a good life because they were 90, or somebody maybe only lived to be, 50, 60, 40 – but had a very good life from a quality point. I think also the quality is a key issue here, and not just quantity. Klaus: Yeah. And I think this is what’s happening, I think there’s a trend happening Lothar, that more and more people, I think it’s in Germany at least 60 or 70% of the people who have cancer, they want or are interested in complementary support. So, there is a huge amount of people that now say, “I wanna do something. I not just wanna sit back”, so there is definitely something happening which is a good sign, I think that people take more self-responsibility. They are more encouraged. There is good news out there, things like meditation, relaxation, movement, some exercise, even mistletoe and the heat therapies (hypothermia) can be very beneficial. So there is something happening where people now realize, “I can play a role in it”. I think the two of us, really add one thing that we both believe is missing, and that’s looking at the cause of cancer. And going a little bit deeper with that. So I think this is our thing, where we focus much more on. Lothar: And this only can be the future. The future for me in the whole of oncology can only be that the doctor is finding out for each patient, the cause of cancer for this particular patient. This is for me, the only way, how we can have a real good oncology in the future. Klaus: I think so too. And I also sense and feel that also doctors realize that more and more. There are 200 different types of cancer. And so already, there we can see, it’s not one thing. But still, although it’s 200 different types of cancer, and you have to add now different personalities, different stages of life where people get cancer. If an infant gets cancer is different thing than if a very old person gets cancer. So we add all of that to the whole equation, then suddenly you have a complex thing. And still, we believe at some level, that there is that one single pill, or that one single magic treatment that everybody applies and then everybody is gonna get healthy. And that was the issue in the past there was this hope for the magic bullet. And I think we can clearly say this after 100 years now in modern oncology, everybody realizes there is no one magic bullet. Lothar: This is for sure Klaus. If we can say one thing, there is no magic bullet. Like you said, I think this is what goes so wrong in oncology. When you look at the history of oncology, it started with surgery. And then came radiation. And in the beginning when they destroyed the tumor with radiation, they thought, “wow, now we have the solution”. But then, they found out, first of all, radiation is killing people. And second, even if it killed a tumor, the people are still dying”. And the same happened later with chemotherapy. And with chemotherapy they also thought they had something like a magic bullet. But now it is nearly 70 years later, at the end of the 40’s, the first chemotherapy came up. And now we have 2017, and still, we are far away from a magic bullet. And of course, now today, they speak about all these antibodies and all these kinds of therapies, and using a virus, we change it and bring it into the cancer cell, and they like think like this. But at the end, it’s only a money thing. We’re far away from understanding cancer. We’re far away from, knowing how to treat cancer, and one thing is for sure: if there is a magic bullet, then the magic bullet is a different bullet for each person. But this is not possible for everybody. Is it impossible, 100% impossible. Klaus: Yeah. Now, I think to close this podcast today, I think there is definitely a hope there, and I think everybody who’s listening in or who’s affected by cancer, I think you should hear that, we know cancer can be cured. Lots of people manage to do it. And, we also understand that there is no guarantee, so nobody can promise anything, and this is why I think the, the example of that young man from Dr. Wöppel, is so, so important. “How do we feel about our cure? Is that feeling affecting our curing?” And I think it will have an effect on it. So yes, please, there is definitely a hope and, and there is definitely good results out there, and the only statistic that is important is your personal statistic, so if you, being the only one person in your statistic, that is the reality, because you are so individual and everything in your life is so different, you cannot be compared to a control group or other groups. So therefore, make it your reality. And I think it can be reality that cancer can be healed. I think that’s a very important message, and we want to share it with everyone. Lothar: Yep, absolutely. Nothing to add. Klaus: Thank you very much Lothar, and thank you for listening today to our podcast, we appreciate it very much. Have a one fantastic day, and speak to you soon. This is bye from Klaus. Lothar: And from Lothar! Bye-bye. 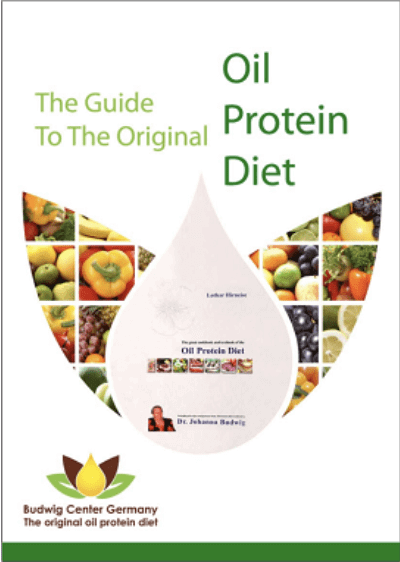 Sign up to receive our free guide to the Original Oil Protein diet and also receive regularly our latest information, offers and updates related to our 3E-Program and 3E-Center. If you order our free e-book here online then we ask you for your first and last name and your e-mail address.It is up to you to decide whether or not you give us this information. Currently there is no encryption for this order form. Therefore, we would like to expressly point out that unencrypted disclosed data can be read by third parties. Without this information, however, we can not fulfill your wish to receive our free e-book. Besides the possibility to submit your e-book order using this form it is also possible to contact us by phone. We use the data you provide solely for the purpose of sending this e-book to you. By completing this online order form and sending it to us you expressly consent to the processing of your data as described above. If you want to receive our our current information (newsletter) from us then we ask you for your first and last name and your e-mail address. It is up to you to decide whether or not you give us this information. Currently there is no encryption from this order form. Therefore, we would like to expressly point out that unencrypted disclosed data can be read by third parties. Without this information, however, we can not fulfill your wish to receive our free up-to-date information (newsletter). Besides the possibility to submit your request to receive our up-to-date information (newsletter) via this order form you also have the possibility to contact us by phone. We use the data transmitted by you exclusively for the purpose of sending our current information (newsletter) to you.